A look at the key looks and surprising silhouettes from the shows. Curious what to expect fashion-wise next fall? 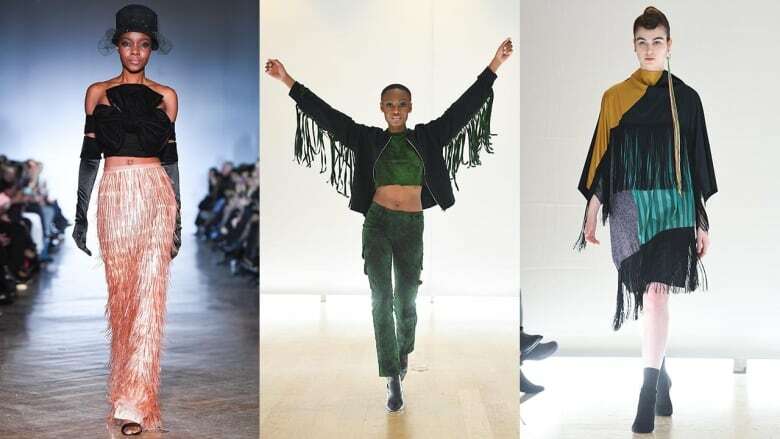 After three delightfully packed days of runway shows, Toronto Fashion Week Fall/Winter 2019 has come to a close. With the sartorial marathon taking over the city's Yorkville Village and other standout venues — including the Royal Ontario Museum, the Gardiner Museum and an underground parking lot — the country's brightest design stars served up plenty of breathtaking garments, surprising silhouettes, plus a multitude of fashion themes that are just dying to be worn. Here, our top trends to add to your dress code for the next crisp and cool season. Fringe is one of those enduring embellishments that regularly returns to the fashion fold season after season. Some designers chose to introduce the trimming sparingly as an accent and some went all out. Croatian-born designer Zoran Dobric adorned everything from neck pieces to dresses to earrings with dramatic long strands. Sisters Naomi and Devorah Shapiro of Rock 'N Karma went for Wild West edge on jackets and pants. Elsewhere, eveningwear expert NARCES opted for layers upon layers with a show-stopping skirt. Another hot embellishment of the season? Crayola-bright tulle! 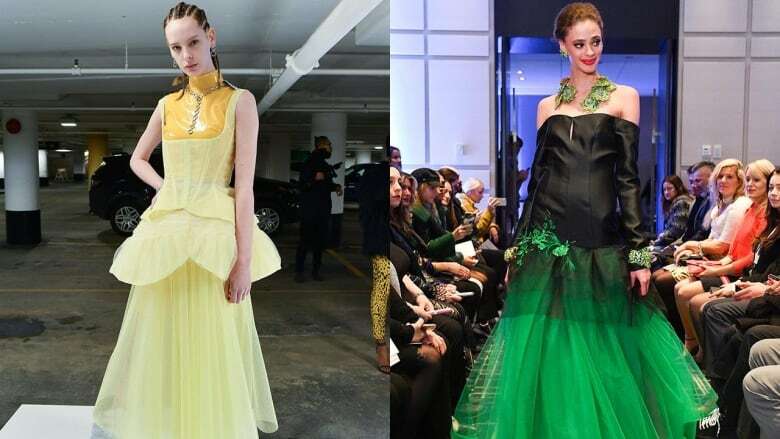 Designer Michael Zoffranieri, who teamed up with jewellery designer Alan Anderson for the ZOFF/Alan Anderson showcase, went for pure glamour with a floor-grazing gown complete with a frothy-green skirt. Maker Mikhael Kale on the other hand treated show goers to a pretty-meets-hard aesthetic, mashing up romanticized, buttercup yellow tulle with latex. Expect oversized layers to be front and centre come next winter. Indigenous designer Lesley Hampton's ethereal cape moment was nothing short of spectacular. 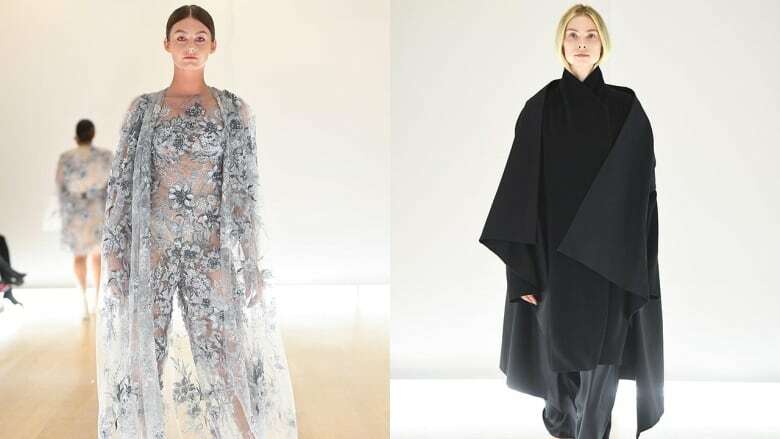 The floor-length, airy garment was embroidered in romantic abundance, making it a no-brainer eveningwear topper to throw over solid dresses, jumpsuits or a blouse-and-trouser combo. Over at Process Visual, rich, fluid, mountainous fabrics elevated rather simple separates to elegant new heights. A padded jacket has become a staple piece of armour for confronting the elements, but expect to see it more than before. 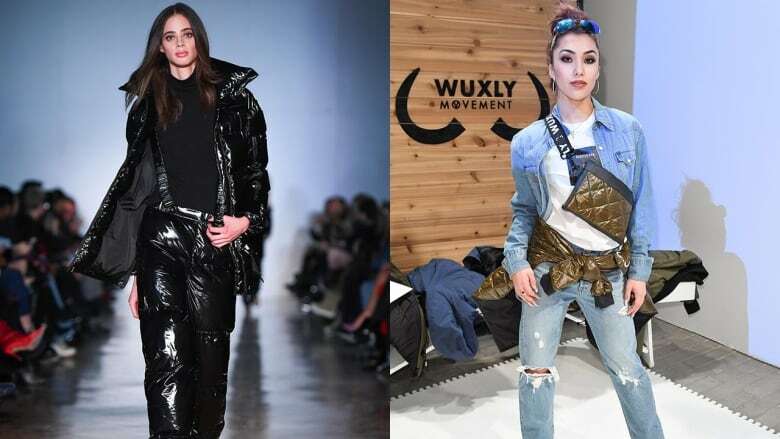 Canadian designers, including outerwear brand Wuxly and creator Hilary MacMillan, had fun using the go-to quilted volume as their creative playground. Both produced pieces beyond the puffer — fashionable handbags and trousers — that are sure to add some excitement to bundling up. There's something arresting about an uneven hemline. They feel effortlessly flirty and while offering a wow-factor. Design veteran David Dixon (whose collection featured actual bubble wrap incorporated into pieces) put a chic, textured spin on the scalloped treatment. NARCES' jaw-dropping, high-low and angle-cut dresses made for statement gowns that truly dazzled.